Battlefield V leads the series home to WW2. We have whacked some nazis and given a verdict. Because not everyone has access yet, but those who do, oh boy a spectacle, with iconic vehicles and weapons from World War II. I can already disclose that I’m totally hooked. I’ve played more than 60 hours in game and just now reached the level cap – even then I cannot let this game go. However, everything isn’t perfect, and we’ll look at the things that are not, as well, in this review. Before getting into the nitty gritty details of what the new Battlefield 5 can and cannot do, we’ll have a look at the technical details, as usual. 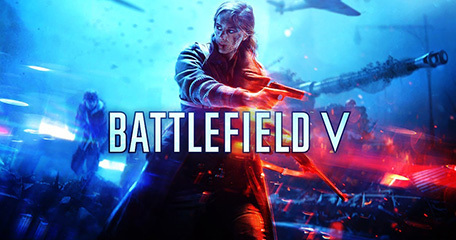 Battlefield 5 is a first-person shooter (FPS) developed by EA DICE and will be released by EA for PC, Xbox One and PS4. The official release date is November 20th, 2018. The game has been developed on the Frostbite 3.0 engine, which is the same as Battlefield 1 and Star Wars Battlefront II utilizes. You won’t find anything new under the bonnet, besides Battlefield 5 being the first game to support real-time ray tracing. In this test we will not be delving further into real-time ray tracing in Battlefield 5, as we’re doing a separate test with emphasis on benchmarks of the new technology in Battlefield 5. 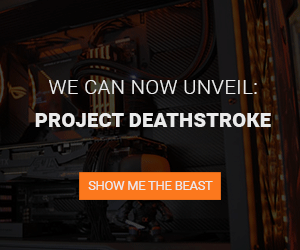 We’ve tested the PC edition on a machine consisting of an Intel i7-6700K, ASUS GTX 970 STRIX and 16GB of DDR4 memory. It won’t surprise anyone to learn, that a new Battlefield game requires quite the raw horsepower to run somewhat decently. This is also reflected in the system requirements. The test rig used just manages to squeeze into the recommended system requirements in the graphics department. We managed to squeeze a decent 80-90 fps from the game in multiplayer with medium settings. We’ve also had the game running on an older Intel i5-4460, GTX 970, 16GB DDR3 machine, where we had to turn the graphics all the way down to low, to drag the machine to 60 fps in multiplayer. 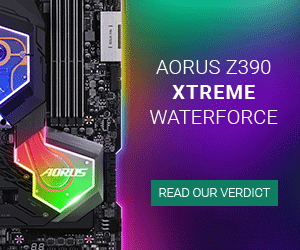 Obviously, it is playable on older hardware, but a more recent CPU is recommended, as you will feel the difference in BF5. 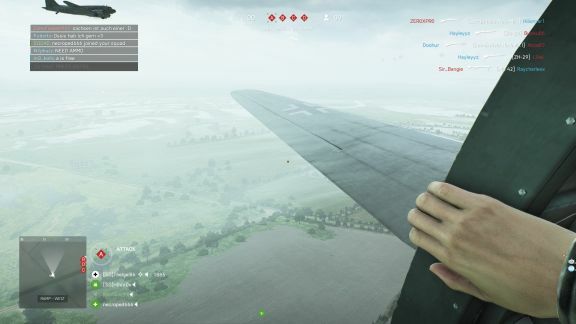 BF5 represents EA going back to the origins of the series, back to where it all started in Battlefield 1942 – World War II! 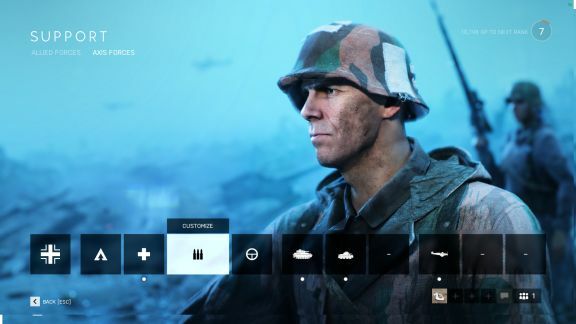 After Battlefield 1, which was set in World War I, it seemed like the natural step, and EA has confirmed in various ways that BF5 is a follow-up of sorts. In this review you’ll find that the single player and multiplayer experiences have been separated. Starting with the first mentioned. 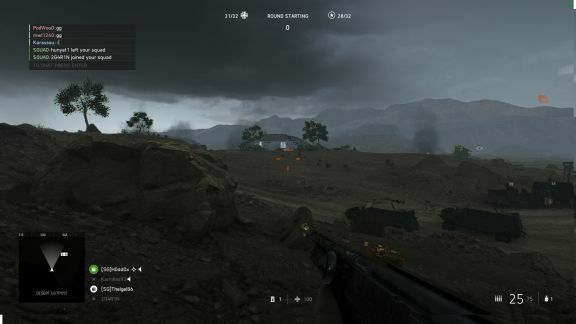 In BF5 single player you’ll experience the story being progressed through short “War Stories”, each being a short campaign with its own stories. The idea from the developers is, that to tell the smaller and mostly untold stories of WWII. Initially there are three short campaigns build around a mix of linear and open-world gameplay. To understand fully, the game is mostly open-world, where you can decide whether the missions are to be solved using tactical prowess or you want to brute force your way through hordes of enemies, using your entire arsenal of dynamite, grenades and various rifles. The linear part of these missions refers to the fact, that they need to be completed in a certain order – which does make complete sense. The War Stories themselves can be completed quite quickly, if that’s your goal. However, the developers have hidden some challenges and collectibles (letters), which the player can find and/or carry out. The bonus of that? Skins to your knife! You can get a cricket bat, a machete and a very nice hunting knife (the reviewers personal favorite). The challenges have varying difficulty but are relatively easy to complete. Finding all the letters can, however, take quite the amount of time as they are scattered all over the map, and the developers made sure that you’ll have to explore quite a lot to find them. I would recommend playing through the story first, and then venturing back to do challenges and find letters, as it will surely disrupt the continuous flow in gameplay otherwise. Looking at what Battlefield is really about and has always really been about – MULTIPLAYER. There’s no doubt that Battlefield wouldn’t be the same without chaotic 32 vs 32 battles with tanks, fighter jets, bullets raining down everywhere, grenades and smoke all over the place. 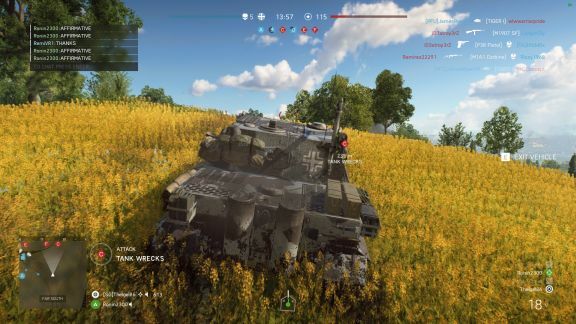 And that is exactly what is to be expected in BF5. At the time of launch BF5 has 8 large multiplayer maps, which cover a wide variety of scenery. In Twisted Steel, which is set in a swampy area of France and cut through by a gigantic steel bridge, you’ll find what is supposedly the largest modelled structure in Battlefield… ever! In other words, there is something for every taste. 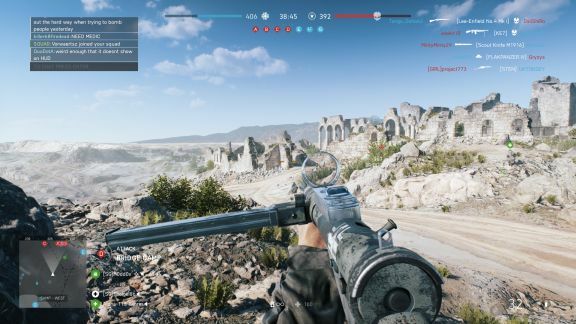 In Battlefield 5 there are 7 different multiplayer game modes, where the most well-known, and not surprisingly, most popular is the classic conquest, where two teams of up to 32 players each, try to conquer and control different spots of the map. Grand Operations is a game mode designed to create alternation, as this mode lasts over “several days”. This means that you play three game modes right after each other as a joint mission. The only mode that is actually new is Final Stand, which is a game mode that is triggered when the teams after three maps in Grand Operations end up being very close. As the name implies, there will be a final battle with the twist that every player only has one life and won’t be able to respawn. At the same time the map will get smaller and smaller as time goes by. Last man and team alive wins. Much like a Battle Royale, without really being Battle Royale. As Battlefield 5 is set during WWII you’ll naturally be playing AXIS vs. ALLIED. There are 37 different weapons at our disposal from the get-go; 30 primary and 7 hand guns. There are iconic weapons from World War II, such as the German MP40 or the popular “Tommy Gun”, which is surely known from a variety of gangster movies. All weapons have advantages and disadvantages, if you pick a weapon suited for close combat, you can be pretty sure that you won’t stand a chance on long range if you’re up against a guy with a rifle. The many weapons are available to the four classes in Battlefield 5; Assault, Medic, Support and Scout. As a player you will have to choose one of these classes, and thereby gain access to the specific weapons available to your class. In the beginning you’ll only have access to one primary and one secondary weapon, though. As time passes, you’ll be able to unlock other weapons by earning points and levels with the classes. 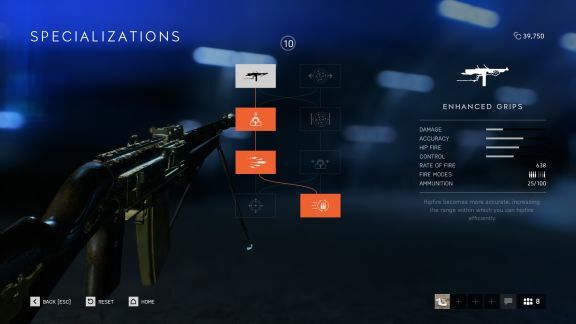 All primary weapons can get upgrades though the so-called specializations and while specializations are unlocked for your first weapon, you will have to unlock them for all other weapons by using them in combat. As a rule of thumb there are 8 specializations available for each weapon, of which you can pick 4. On average it will take between two and three rounds in game, for the not-so-experienced player to unlock all specializations. The great thing about the initial weapons is that they are not entirely useless. If you enter the game as a new player and run into someone who has unlocked their weapons, you will still stand a fighting chance against that player – allowing skill to prevail. This move from the developers is something we really appreciate. 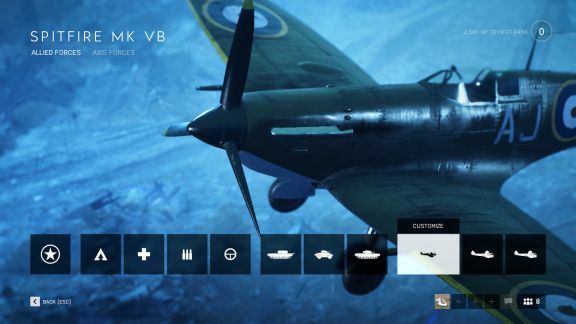 Adding to the weapons, there are also a wide range of tanks and planes in BF5 and we’re spoiled with a wide variety of the most iconic tanks, such as the German Tiger or the Stuka and Spitfire planes. Naturally you can also play with your friends, and in Battlefield 5 it’s in groups or squads of up to 4 people. In these squads you’ll earn points by having the leader give orders and the group working together to complete these. The points can be spent ordering supplies, tanks or a terrifying V1 rocket, used for bombing strategic positions. The goal is to work as a unit, and our experience is that a squad that plays together, assisting each other, can alter the course of a fight dramatically. If there are 3-4 good squads on a team it is almost a guarantee to win the game. The Battlefield games have always been known to innovate the genre when looking at graphics. In Battlefield 5 you will find that everything looks fantastic and detailed – a whole lot more seems unnecessary. There are some minor glitches, such as hovering rocks, which aren’t intrusive to gameplay and relatively easy for developers to correct. Do you want to play Battlefield 5 at its best, you will really want to invest in a decent headset, as the sound in-game is without comparison? The sounds for all the iconic weaponry have been recorded in real life, with these exact weapons. The sound of a Spitfire or Stuka flying right over your head, will give you chills. A squad earning the necessary points for the V1 rocket, will enjoy the amazing sound of the rocket engine, followed by and explosion and more points to their account, if hitting a horde of enemies, who simply won’t stand a chance. 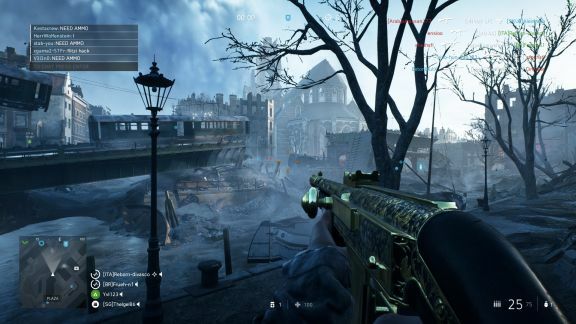 As earlier mentioned, Battlefield 5 supports real-time Ray Tracing technology, which we haven’t really touched upon in this review, as it’s an entirely different entity. No Battlefield game has ever been without Easter eggs. In former Battlefield games it has been a well-established fact that they are industry leading, on providing these hidden gems. It probably isn’t different in Battlefield 5. 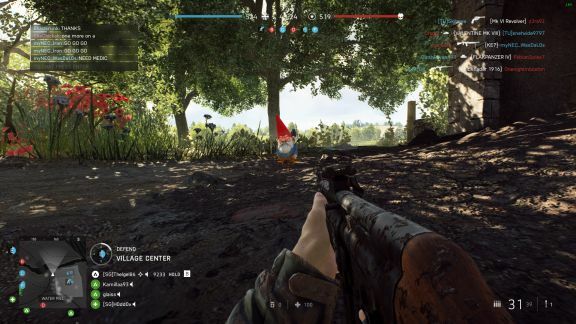 After our meeting with the game we’ve found a garden gnome in Arras which, when shot, haunts the player and stalks them. No matter where you go the gnome will show up, with glowing eyes and a scary laugh. Furthermore, we’ve found a phone that can be used and listened to and a radio which looks like it’s meant to be used for something. As a new feature you can now kick grenades back to the enemy, by running towards the grenade, before it explodes, and press “E”. To avoid having your opponent doing the same, you can shoot grenades into the air, having them explode before time. Support players can no longer restock everyone’s grenades and other gadgets. Instead you will have to refuel at an ammo-station which are located around the different maps. Another piece of news is that you no long regenerate HP after taking damage. You will instead spawn with a health pack that can be used to regenerate HP. It can only be used once and thereafter you will need to get a new one from a medic, or one of the few health stations located on the maps. All classes can now provide “CPR” and revive their teammates. However, medics can do so at double speed. As always medics can revive all players unless they are killed by knife or fire. It is no longer possible to spot opponents with “Q”; however, you can now place a marker, which will be visible for your squad – to mark areas of particular interest. Battlefield 5 has had a rough launch, and it was well deserved. The first trailer was confusing and gave the impression that it would be a game with cyborgs and WAY too much Michael Bay action. The impression we’re left with is a far cry (pun intended) from that. Battlefield 5 is what we would expect of a modern Battlefield game, set during WWII. The developers threw away prosthetics and I feel they’ve really listened to the players. Before going over board with the positives for EA DICE, there are things that need to be addressed. Seeing as Battlefield 5 is set during WWII – where the **** is Omaha Beach, Stalingrad, Berlin and other ICONIC WWII battles. We’re well aware that there is more to come, and that EA DICE wants to provide an authentic timeline of WWII, where battles are introduced chronologically. But we MISS them. A LOT! The first 8 maps are incredible, but they feel less important, because we have no emotional connection to them, like we do with Omaha Beach or Stalingrad – which everyone knows from movies like Saving Private Ryan or Enemy at the Gates. The launch of the game has been quite confusing, and even confusing to a point where EA themselves had to make a schedule to show when access would be given with various game versions. Origin Access Premier was supposed to get access 11 days before official launch but was granted access 12 days ahead. Deluxe user was let in 5 days before, and standard version on the launch day. We understand that EA is trying to give subscribers better terms, but it feels wrong to have subscribers sitting at max level before Deluxe Edition buyers are even allowed in the game. One of the things that EA did the proper way, was removing the dreaded Premium Pass and DLC-hell, allowing all players access to all new content on release. 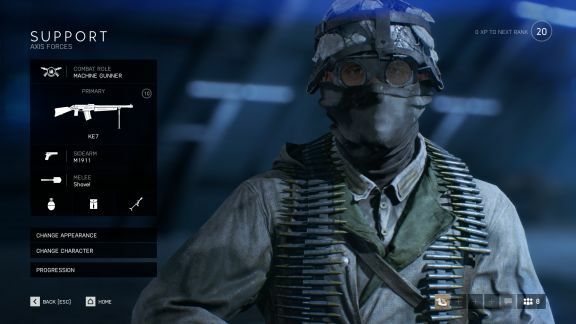 The Deluxe buyers are “only” getting additional access to exclusive skins and extra missions. The single player campaign remains dull and we would like to see a more linear story mode, like that of Battlefield 4. Sensible framerates in multiplayer requires a pretty juicy computer, and your average gaming PC with GTX 1060 and i5 CPU will only just enable you to play 1080p at 60fps. This is worth keeping in mind, as we have had a PC that needed upgrading, because of BF5. 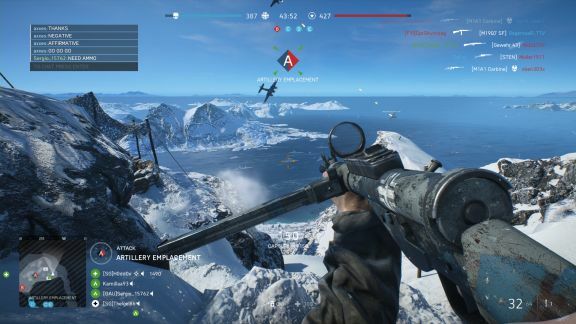 Battlefield 5 is a great game, with great visuals, built on a rock-solid foundation which has been developed and corrected through earlier iterations of Battlefield. The game is at it’s best when played with a squad who communicates - something the developers have made sure is rewarded. Battlefield 5 can currently be bought for [INSERT PRICE] on Origin for the standard version. The slightly more expensive Deluxe edition comes in at [INSERT PRICE]. Whether or not it’s worth the premium will be up to you. We award BF5 with 8/10 for a genuinely well-done game with beautiful graphics and badass sound effects. Multiplayer works amazing, but single player is lackluster. Furthermore, we cannot overlook the confusion about release dates.